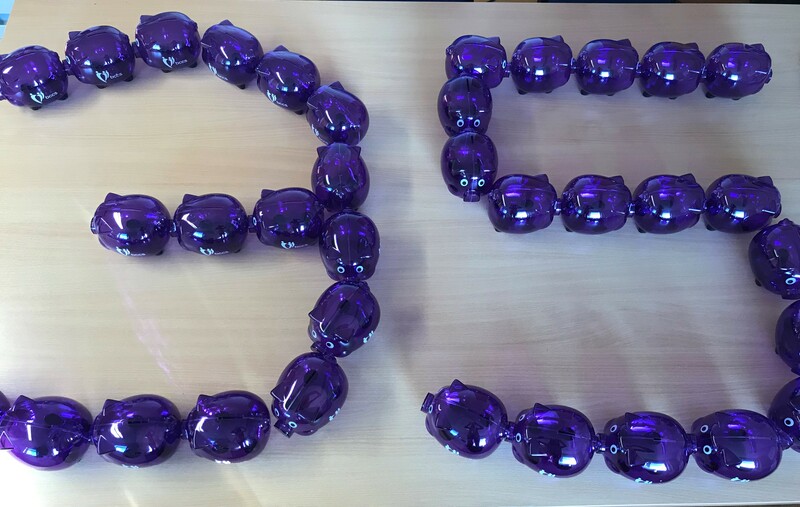 Can you help us re-home one of our 35 anniversary piggy banks? This month we are looking for people to adopt one of our 35 anniversary piggy banks and to try to collect £35 for us during the course of the year. Our piggies have been very popular at our Ladies' Lunches over the last 3 or 4 years. Our lunch club is made up of ladies from all over Essex and East London who come together in June and December to have lunch, catch up with friends and do some fundraising. A few years ago we introduced our Pink Piggies and many of our ladies now have one at home to collect their loose change for us. When they come along to our Ladies' Lunches, their piggy gets dressed up and comes along too, we empty their contents and add the donations to our Piggy Totalizer. This might seem like a bit of fun, but so far our piggies and their owners have raised over £2,300 for our funds and we thank each and every one of our supporters for helping us out in this way. 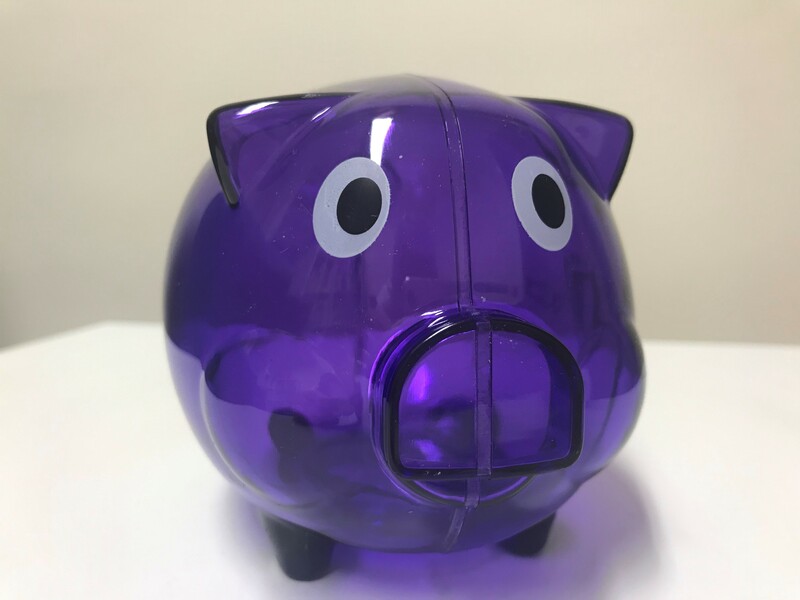 This year, we have decided to set a challenge to 35 families to do a similar thing with our Perfectly Purple Piggies and by doing so, help us to raise vital funds for the children, young people and families whom we support. These families will also help to raise awareness of our work and hopefully, this will allow us to reach more children and families who are struggling and may need our specialist care. If you think you could help us with this challenge, then please email your name and address and we will send you your Piggy along with its Adoption Papers. When your piggy is full, you can send us your donation by cheque or bank transfer or pop in and see us at our offices in Rayleigh. We look forward to welcoming you to #Team35 - you will become part of a very special group of people doing something special to support children's mental health in 2019.